3 Piece Bamboo Cutting Board Set Only $9.49! 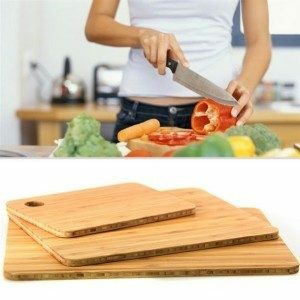 You are here: Home / Great Deals / 3 Piece Bamboo Cutting Board Set Only $9.49! Don’t miss out on this hot deal perfect for giving as Mother’s Day Gifts or just replacing worn out cutting boards with! 3 Piece Bamboo Cutting Board Set Only $9.49! This is a great deal that includes 3 boards that are perfect for those little and big tasks in the kitchen! Grab this and other hot deals for your home at 13 Deals every day!